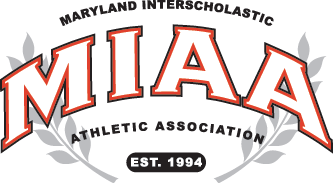 There was no touching Boys’ Latin junior pitcher Ned Ruffin against Severn in the Maryland Interscholastic Athletic Association B Conference baseball championship game at Harford Community College on Monday night. He was still popping the mitt of junior catcher Justus Brown in the late innings while the Admirals flailed helplessly at the plate at the offerings of the 6-foot-4, 215-pound right-hander, who fanned the final six batters. 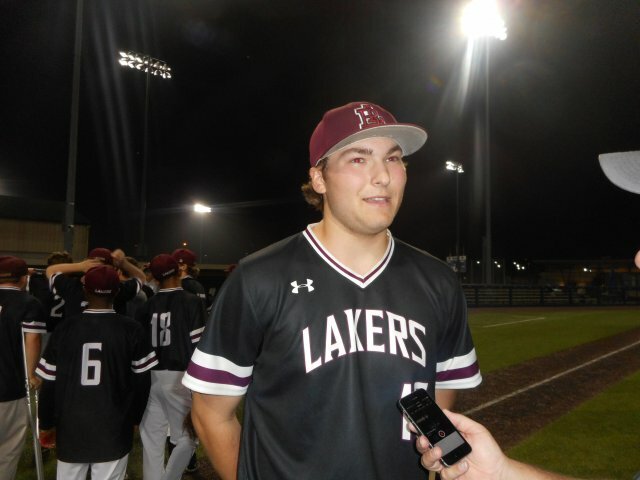 Ruffin’s spectacular effort— a complete-game three-hitter, with 15 strikeouts and no walks — propelled the 20th-ranked Lakers (20-6) to their second consecutive championship in their third straight trip to the finals. And while the Lakers didn’t exactly tear the cover off the ball against Severn starter Ethan O’Malley or reliever Ty Benz, they produced enough runs to prevail. BL erupted for two runs in the top of the first when right fielder Cole Jarrett walked, was sacrificed to second by shortstop Matt Luterman and moved to third on left fielder Jackson Gazin’s single. Jarrett crossed the plate on a passed ball before designated hitter Matte Pernell made it 2-0 when he coaxed a bases-loaded walk. O’Malley escaped with minimal damage, however, when he caught Brown looking at a third strike with the bases still juiced. Meanwhile, Ruffin retired the first eight Admirals in order until No. 9 hitter Everett Cortez bounced a singe up the middle in the third. Ruffin then froze leadoff hitter Brendan Gauthier with a nasty curve that just caught the corner to end the frame with the Lakers still on top, 2-0. The Lakers tallied again in the fourth when Brown and left fielder Ben Barton walked to open the inning and courtesy runner Eric Gazin stole second and third before bolting home on a throwing error. Jackson Gazin’s sacrifice fly plated the second run of the inning to close out the scoring. The Admirals put a runner on third with one out after a couple of errors and a fielder’s choice in the bottom of the fourth, but he was stranded there after Ruffin set down catcher Jordan Mathis on a pop out and fanned left fielder Tyreek Thornton looking. The Lakers threatened in the fifth, although they left two runners in scoring position when Barton couldn’t find Benz’s curve that nipped the corner of the plate. Ryan Jack socked a double to right-center to open the home half of the fifth before Ruffin whiffed O’Malley on four pitches and got designated hitter Thompson Davis on a grounder to second. The right-hander then struck out right fielder Everrett Cortez to escape unscathed. Another Admiral uprising was stifled when center fielder Ryan Gauthier doubled to open the sixth and stole second before Ruffin fanned Benz, shortstop Alex Rosner and catcher Jordan Mathis to preserve the shutout. “(I tried to) bear down and not give them anything to hit,” Ruffin said. When he struck out the side again in the seventh, a celebration was in order for the Lakers. The one person who did not guess about who would start on the hill for the Lakers was coach Bill Greenwell. BL — Ned Ruffin and Justis Brown. S — Ethan O’Malley, Ty Benz (5) and Jordan Mathis.